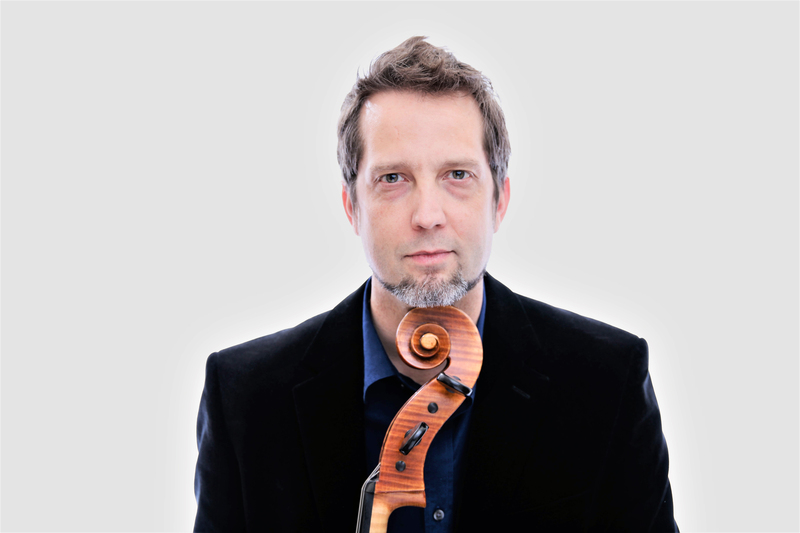 Cellist Kevin Krentz enjoys a multi-faceted career as a performer, teacher, inventor, and artistic director. A devoted chamber musician, Kevin is Artistic Director of the Methow Valley Chamber Music Festival in Washington state. He has been a winner in the Fischoff National Chamber Music Competition with his trio In Flight 3 and a winner in the Zinetti International Chamber Music Competition in Verona, Italy, and the Greenlake National Chamber Music Competition with Finisterra Trio. With Finisterra Trio, Kevin is devoted to performing contemporary works as well as the standard repertoire. The trio has commissioned new works by modern composers. Finisterra Trio are artists-in-residence at the Phoenix Series in New York. Kevin’s teachers have included Florian Kitt and Jontscho Bayrov in Vienna, and Gary Hardie, Owen Carman, and Toby Saks in the U.S. Master-class performances include Janos Starker, Matt Haimovitz, Paul Katz, and Tsuyoshi Tsutsumi. Chamber music studies include the Florestan Trio, Elsa Verdehr, Stephen Shipps, Ron Patterson, and Ralph Votapek. Kevin is also founder of Krentz String Works, which primarily develops and sells his inventions, including the Krentz Modulator, which can be found in virtually every major symphony in the world since its launch in 2013. Other innovations involve all aspects of instrument-tone enhancement, to designs for cases and other accessories. For more information, visit KrentzStringWorks.com.